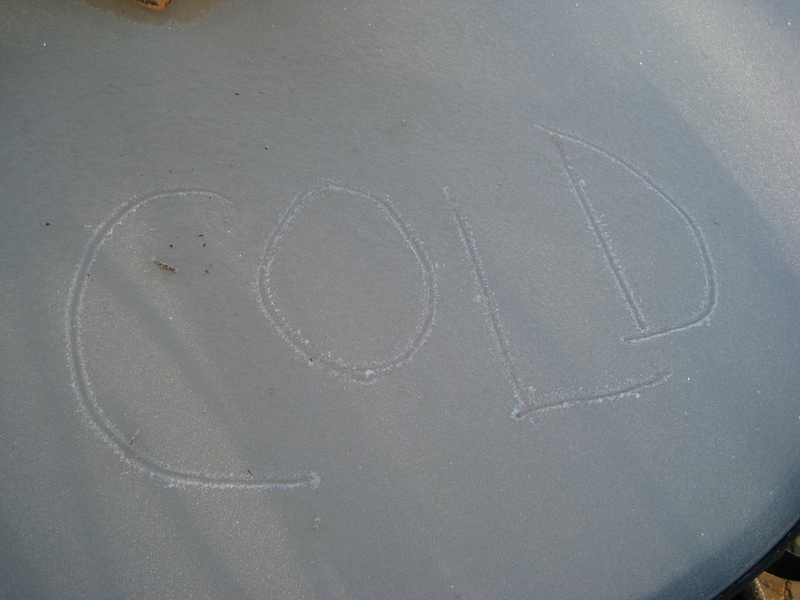 It’s been cold lately, even for my, usually mild, neck-of-the-woods. I find that this is the perfect time to be reminded that the earth gives us beauty in every season and a well designed garden or an eye for natures detail can bring enjoyment throughout the year. 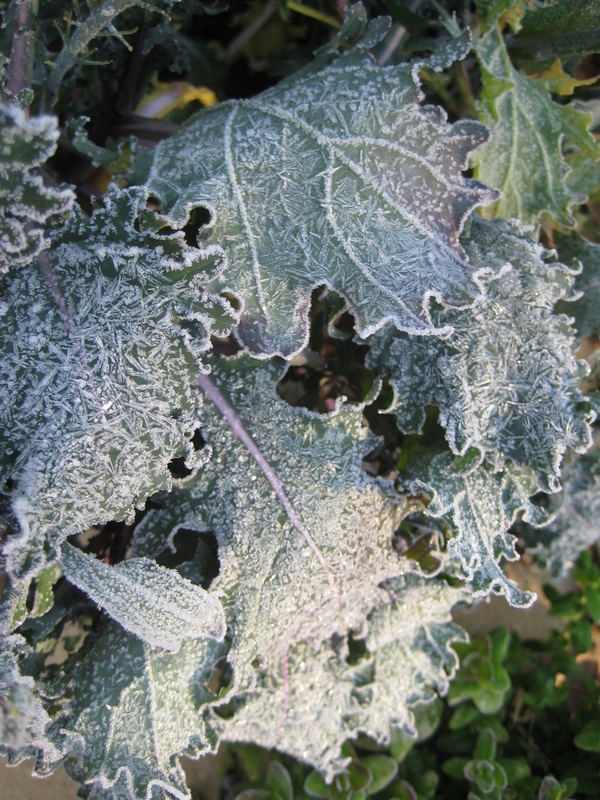 When the temperatures drop there can be plenty of plants in the garden that need some extra protection. 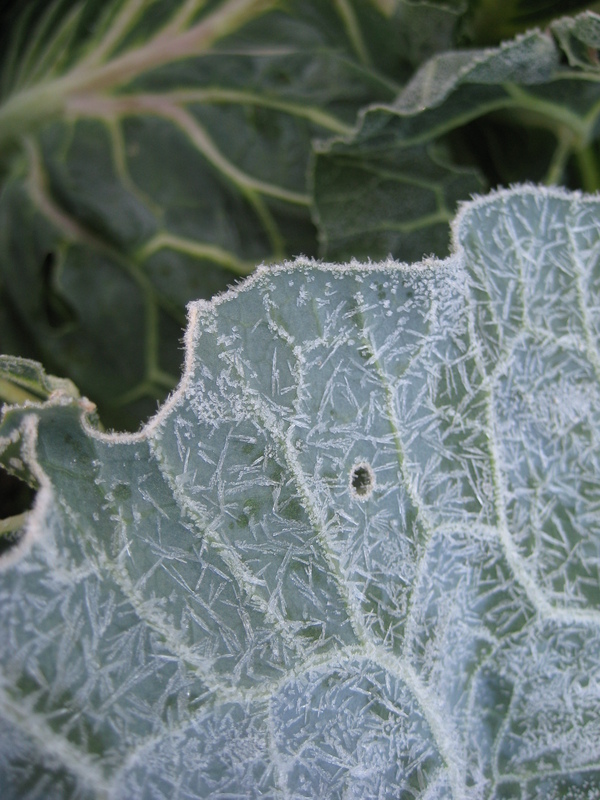 Citrus and many of the succulents often send gardeners scurrying to put out frost blankets or move potted plants to a protected place. 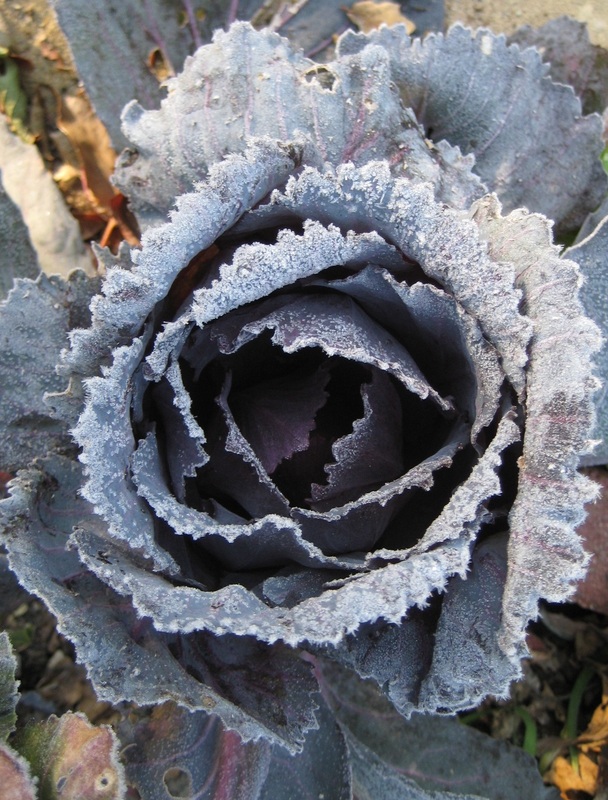 But it’s especially enjoyable to take notice of the plants that need no babying and even benefit from some icy decoration. 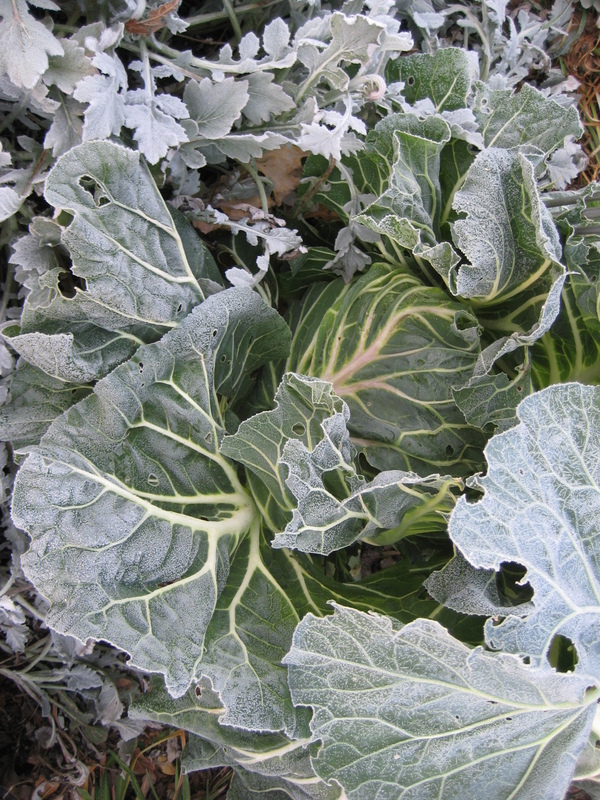 One of my favorite winter plants is the humble cabbage, as well as it’s close relatives, members of the Brassica family, that used to be referred to as “cole” crops. 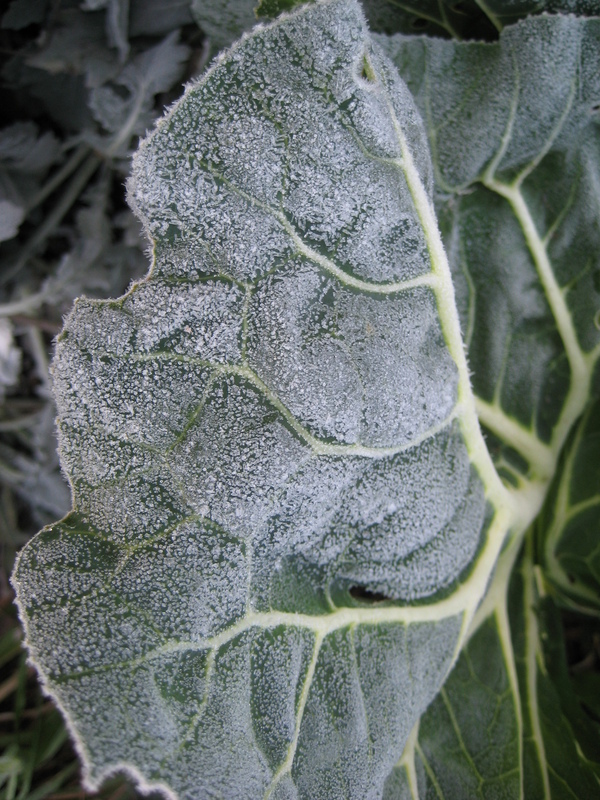 Cabbages, and their kin (like kale and brussell sprouts), not only stand up to winter cold but, if you’re using them in the kitchen, they actually get sweeter as the temperature drops. 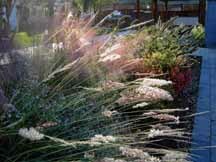 I try to ensure that I have at least a few of these hardy plants in the garden before winter comes. 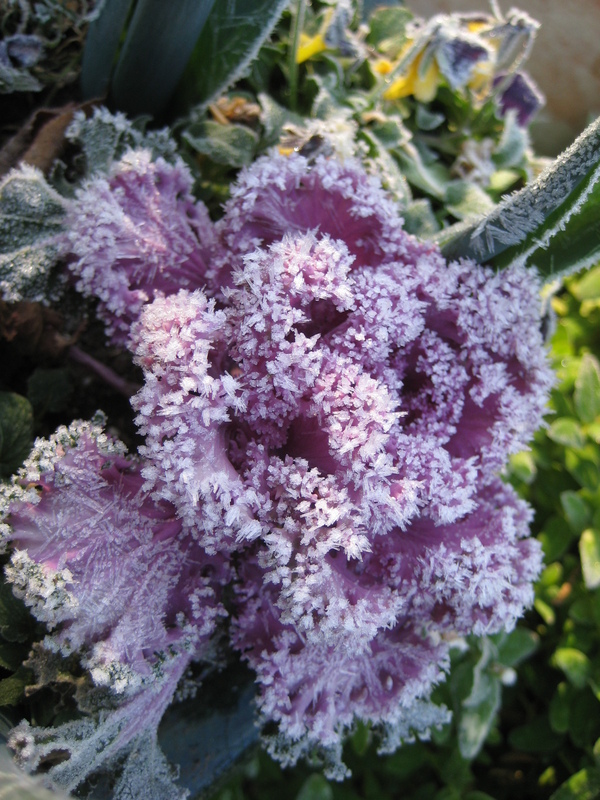 An early stroll outside, on a cold winter morning (with a hot cup of tea in hand of course), is a perfect time to enjoy their magical, frosted beauty. Combine the first 5 ingredients then toss with the cabbage.